The “Grana Padano PDO system” has always paid great attention to the quality of its production and to the everyday measures it takes to achieve this quality, thus ensuring the consumer a healthy and genuine product. Quality is never achieved overnight, it is attained by constantly investing effort and resources in research and in the application of current regulations, while also valorising every aspect of the productive process, from the field and the stable to the cheese factory, and on to the maturing and packaging processes. 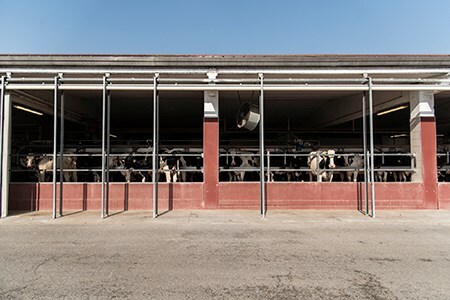 The path to producing Grana Padano PDO starts right from the field, with the selection of suitable feed for cattle, and only quality milk – which must come from well fed, healthy and well cared-for cows – will provide quality cheese. The almost 4,500 cattle farms that provide milk to the cheesemakers we produce Grana Padano PDO are perfectly aware of this rule. And the Protection Consortium focuses strongly on the issue of sensitivity towards, and respect for, the animals, and insists that its milk suppliers treat their herds well and provide for their wellbeing by using virtuous production procedures. As a demonstration of our action and our desire, we report that according to a study conducted with the support of the Ministry of Agriculture (MiPAAF) for the improvement of the quality of Grana Padano PDO (FILIGRANA), for example, 134 dairy farms evaluated - randomly - showed a clearly good level of animal wellbeing. Of these, 96 received an average wellbeing score of 151.23 points, equal to 67.47% on the evaluation scale (range 51.45 – 199.35 points), classifiable as excellent. 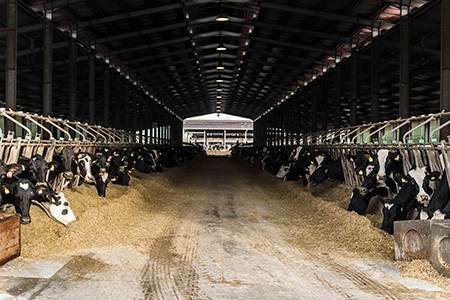 The other 38 cattle farms received a good evaluation, with an average score of 121.31 points (equal to 59.62% on the evaluation scale) which falls largely into the second third of points available (range 43.24 – 174.42 points). All this serves to confirm that the investments and attention towards the entire production chain are based on quality, at all levels. Regarding the feed, forage and fodder fed to the animals, they must respond to the Grana Padano Production Specification Rules, and compliance with these regulations is ensured by a system of periodic controls carried out by an external body independent of the Consortium, CSQA, an accredited certification company, recognised by the MiPAAF for the certification of Grana Padano PDO. A milk cow that is well looked after, and therefore healthy, produces better milk, from every viewpoint, including related to cheesemaking. It is consequently in the interests of every efficient and intelligent milk supplier to take great care of their herd, in order to protect their company’s activities and, above all to guarantee quality to consumers. For livestock farmers, correct herd management is their top priority, adopting automatic evaluation systems of their animals’ morpho-physiological parameters with the increasingly widespread use of special sensors that ensure constant herd monitoring and immediate intervention in the case of specific needs of individual animals, with clear benefits for the cattle. 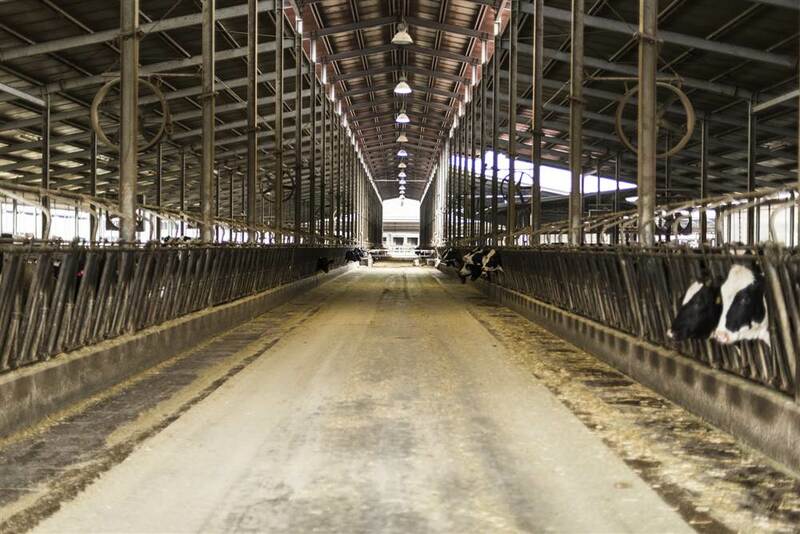 The cows sleep in stall berths at least as large as the regulatory minimum, and often larger, in order to provide greater comfort for the animals, in order to avoid them getting in each other’s way during rest periods. Special care is taken to ensure that the bedding is constantly kept clean. 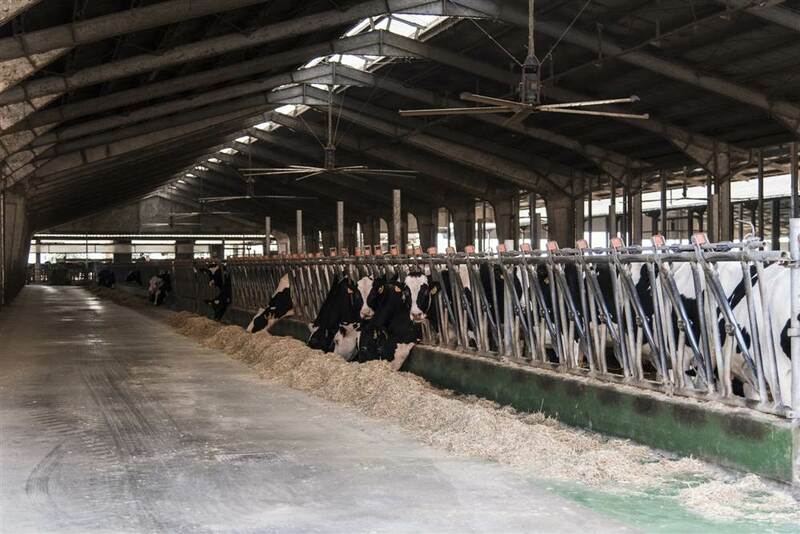 Many farm structures allow the cows to move and feed as they wish, with evident positive effects on their wellbeing; the cow barns are designed to ensure good natural ventilation, guaranteeing adequate air circulation, to ensure cooling in summer and warming in winter, with evident benefits for the cows; the current revision of our regulations also foresees the adoption of a robotic milking system which allows each single cow to decide when it wants to be milked: another major wellbeing improvement, reacting to the individual needs of each animal. In herd management, special attention is paid to operational procedures to avoid stressful situations the animal may encounter which can negatively affect the animal’s health and wellbeing, which completely negates the very idea of wellbeing, for example, connected to grazing on green pastures. During grazing, animals can easily develop deceptive pathological forms which can lead to excessive weight loss. To counteract this, farmers are frequently forced to administer typical intensive-farming feeds even in Alpine grazing contexts: this risks making nonsense of the very idea of mountain pastures and compromising proper use of their grazing potential. Lactating cows tend not to move outdoors with ease, finding it more comfortable to eat and drink in their stalls, where they can also lie down on prepared beds of hay. Calves and non-lactating cows, on the other hand, are more inclined to go outside and graze. But practically no cows go outside in hot summer conditions, preferring the shady conditions indoors, which are frequently also cooled by fans with nebulisers. Likewise, they also tend to stay indoors when it’s windy or in the winter when there is fog, humidity or wet ground where their hooves sink, making movement more tiring. Summer cattle grazing in the mountains is a traditional agricultural activity in the Alpine area, having been developed as a way to optimise the use of forage and farm labour resources. This practice undoubtedly has positive sides to it and, after a period of relative decline, it has recently been revalued and is currently much used, especially by farms situated in highland areas who raise suitable cattle breeds. Roughly 15% of the dairy farmers who supply milk to Grana Padano Protection Consortium cheesemakers are totally committed to making use of Alpine pastures, especially those located in pre-Alpine areas and, obviously, in the Alpine parts of Lombardy, Veneto, Trentino South Tyrol and Emilia. 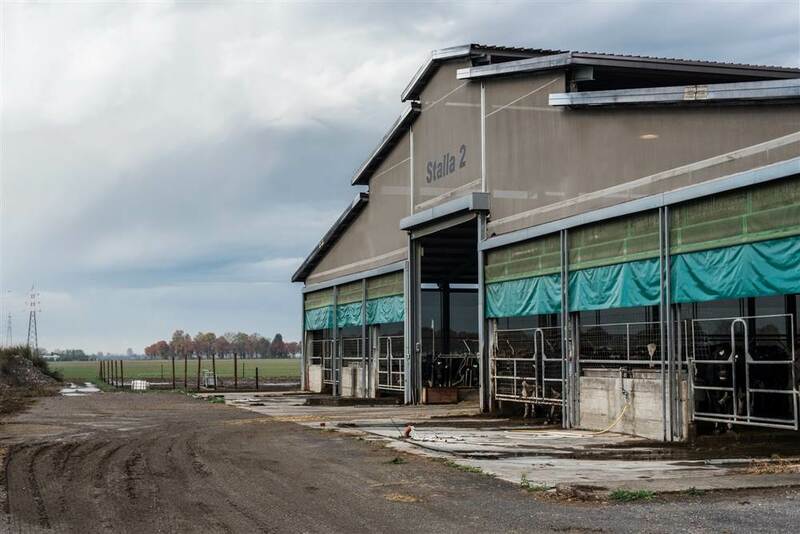 At least another 10% of Po Valley cattle farms send their animals to highland pastures, and a further 30% have fields as well as stalls, where the cows can move freely. The situation in the lowland plains is naturally different, for reasons of tradition, culture and livestock methods (e.g. feeding practices, cattle barn techniques, distance from mountains and pastures, and breeds raised). Although we cannot forget that starting in the 1950s, when open stalls became popular, the area’s typical large and small livestock barns which were found on every farm began to disappear. 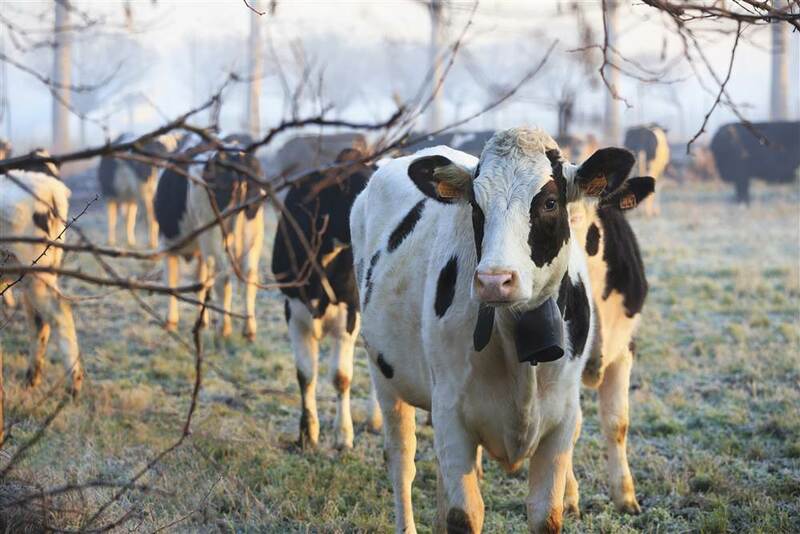 The typical dairy cattle raised in the plains are Friesians: cows that have also become used to the mountains, given that many Alpine farms have switched to a lowland-type farming model, which is more efficient from a productive viewpoint. In any case, some dairy farmers transport their Friesians to Alpine pastures. Friesians can also adapt quite well to Alpine summer grazing, providing they have got used to it from an early age, and providing the conditions are favourable (distance, steepness, stony or rocky terrain, and ample high-standard grazing pastures). On April 21 2017 the Assembly of the Grana Padano Protection Consortium Membership voted that – once a package of measures under consideration since 2014 by the EU and by MiPAAF (the Italian Ministry of Agriculture & Food) has been concluded – we introduce internal rules which impose and gauge animal wellbeing in an objective and clearly defined way, specifying the criteria regarding care, health, freedom of movement, access to food and water and open-air grazing. A series of measurable standards will be introduced which, if not respected, will result in the exclusion of the guilty dairy farm from the Grana Padano PDO circuit, and which will attempt, in time, to optimise all cattle breeding conditions. Regarding the food, forage and fodder fed to the cows – in compliance with our Consortium regulations – these originate almost entirely from the Grana Padano PDO production area... i.e. in areas of Northern Italy where GMO production is prohibited. Only soya, which represents a tiny part of the cattle’s standard diet, if imported, could be genetically modified. In any case it would be produced “responsibly” according to the RTRS (Round Table on Responsible Soy) standard approved by the European Commission to meet the requirements of the EU’s Renewable Energy Directive. The protection of livestock animals and their wellbeing have always been priority goals for European and Italian lawmakers. As far back as the Treaty of Lisbon, Europe has recognised animals as “sentient beings”. Since then legislators have drawn up and laid down mandatory regulations concerning respect for animal wellbeing. All livestock farmers are obliged to comply with what are called GOOD AGRICULTURAL PRACTICES (GAP).– on pain of being excluded from access to Common Agricultural Policy (CAP) payments and funding from Rural Development Programs (RDP), as well as being subject to fines. CReNBA rules consist of optional guidelines which facilitate evaluation of animal wellbeing levels in livestock farms. These guidelines are based on the European Welfare Quality® research project, on indications contained in the draft law on adult cattle wellbeing discussed in the 2007-2009 triennial in Strasbourg, and on numerous serious studies on animal wellbeing published over the last 10 years. Italy has launched a national plan for animal wellbeing – the "Piano Nazionale per il Benessere Animale (PNBA)" – in order to comply with national and European regulations and to standardise the execution and programming of control procedures while also improving the expertise of veterinarians and livestock producers concerning the key issues of animal wellbeing. Consequently all dairy farms involved in supplying milk to the Grana Padano PDO system must comply with mandatory rules and are subject to regular controls by competent organs (veterinarians from local health services) in order to verify compliance with current regulations and to guarantee ongoing education, ensuring adequate instructions on how they can improve livestock practices in order to improve animal wellbeing. The dairy farms supplying the Grana Padano Consortium not only comply with these guidelines, they go further. The Assembly of the Grana Padano Protection Consortium Membership, voted to introduce, as soon as possible, rules which impose compliance with animal wellbeing laws, on pain of being excluded from the circuit, and gauge animal wellbeing objectively. The care for and protection of animal wellbeing is a fundamental principle of society and is the first priority of the Grana Padano Protection Consortium: it improves productive performance, product quality and product healthiness, as well as protecting the consumer and coinciding with the economic interests of dairy farmers and of Italy’s productive system. 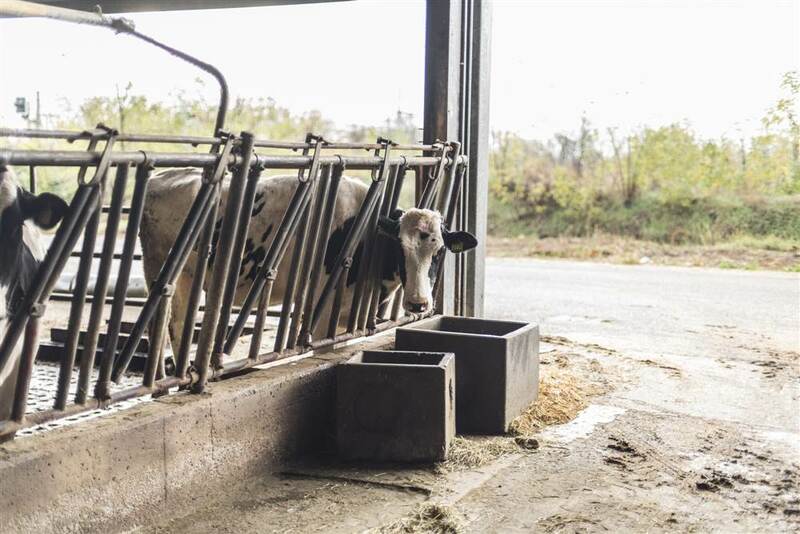 This is why the collective commitment of all those involved in the Grana Padano PDO production chain is constantly orientated towards raising the level of animal wellbeing, most of the time setting higher standards for itself than the legal requisites. 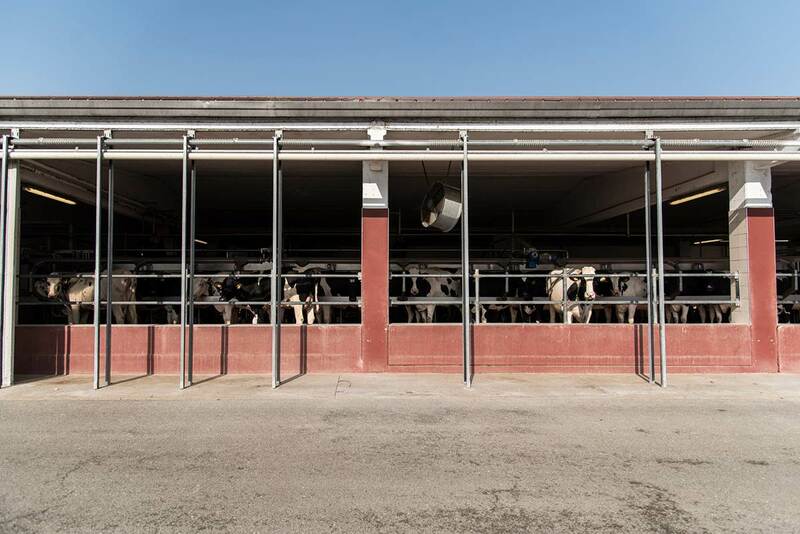 After all, for the Grana Padano PDO system the wellbeing of the cattle involved is the “conditio sine qua non” to produce a cheese excellence that will satisfy the market, to everybody’s advantage, from consumers to producers. 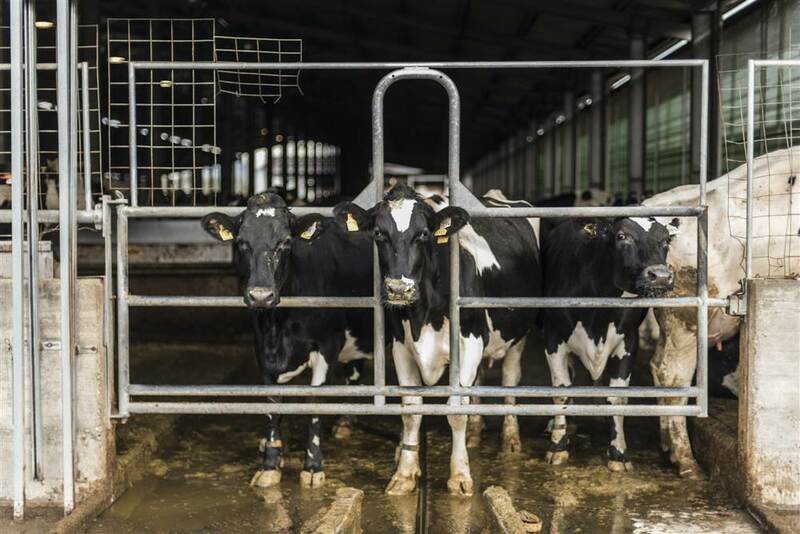 The CReNBA, run by the Experimental Zooprophylactic Institute of Lombardy and Emilia Romagna (IZSL thER), has recently devised a system for evaluating animal wellbeing which specifically includes milk cows. This was officially presented in Rome on January 21 2014 in the Ministry of Health, in the presence of the Ministry of Agriculture, various national Zooprophylactic Institutes, Category Associations, the Italian Federation of Veterinarians (F.N.O.V.I. ), and some Regional Government representatives. 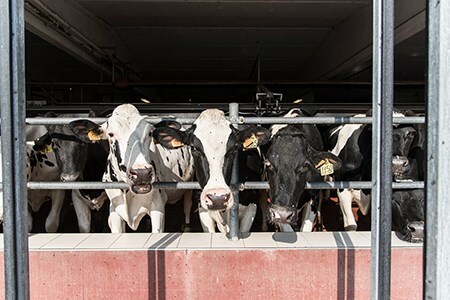 The specific evaluation system for milk cows drawn up can be consulted in detail on the website of the Experimental Zooprophylactic Institute of Lombardy and Emilia Romagna (IZSLER). Put concisely, this manual indicates that its method is based on analysis of two groups of data: those directly connected with dangers derived from immediate environment (management, structures, equipment and microclimatic conditions) and those connected with the adverse effects (negatively affecting wellbeing) which the animals experience due to one or more of the dangers above. When deciding the aspects on which to focus evaluation, the CReNBA chose to concentrate on elements with a clear scientific dimension and with objective and easily measurable criteria, thus making it possible to compare different livestock situations using the same evaluation criteria, ensuring greater objectivity in assessing the conditions affecting the animals’ wellbeing. A survey done, using the CReNBA method, as anticipated, on a random sample of 134 dairy farms from the Grana Padano PDO production chain in 2014, revealed that, in terms of complying with the requisites for ensuring animal wellbeing, 71.6% of the stall facilities evaluated were awarded a score classifiable as excellent and the remaining 28% received a good evaluation. It’s clear that farm management (which includes all farmhand operations affecting livestock) is the fundamental factor in animal wellbeing. At first sight this might not seem obvious, but on reflection it clearly has a greater all-round effect on animal wellbeing than the structural characteristics of the farm. The CReNBA also specifies that, when deciding whether a specific farm’s animals are, on average, in good health, if even one single animal shows a particularly serious condition in terms of legal requirements, then that farm cannot be described as offering good animal wellbeing conditions. The Grana Padano Protection Consortium decided to count on the collaboration of a national institution (CReNBA ) which is independent and highly competent, basing its work on legal requirements and scientific studies, in order to establish the animals’ real living conditions, and not just our own expectations. We wish to underline that it is highly important that animal wellbeing is evaluated by expert and trained personnel, as are the veterinarians specifically trained and employed by CReNBA. Thanks to the efforts of the Ministry of Agriculture, the sector has obtained obligatory indication of origin on milk labels. This is a large stride towards greater consumer protection and choice, considering that not all countries observe the same standards of animal wellbeing as those applied in Italy. The Grana Padano Protection Consortium cannot but be in favour of the introduction of a further system of compulsory labelling that makes it possible to inform the consumer of all the daily efforts which farmers make to take care of the wellbeing and health of milk cows, in order to produce high quality and healthy milk suitable for transformation into the most important PDO cheese in worldwide quality production: GRANA PADANO. The Grana Padano Protection Consortium, along with its member cheesemakers and dairy farm milk providers, has a direct interest in communicating in an appropriate, detailed and adequate way all the daily activities that go into caring for the cattle which are the point of departure for local production systems combining the historic traditions of Grana Padano PDO with innovative modern livestock techniques which respect both the environment and the animals involved and ensure adequate profitability to all those working in the production chain. This is why we have invented a new logo: “Il nostro latte” (Our milk), which has been generated by the desire to satisfy the consumer’s demand for traceability, thus further guaranteeing the quality, uniqueness and origin of milk from a specific protected territory. This logo can be used voluntarily by all consortium members and authorised packers, on all the packs of Grana Padano PDO destined for both the Italian and foreign markets. The new “Il nostro latte” logo is governed by a regulation which establishes limits and conditions for the concession of the use of the logo created and registered by the Grana Padano PDO Protection Consortium to packing companies. Production sites Discover the members od the Consortium and their stories.